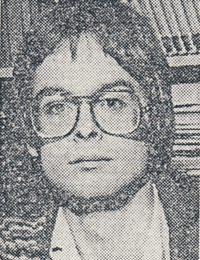 Years prior to the founding of Freedom Party of Ontario, Marc Emery was a weekly contributor a program called Access 96, broadcasted on CFPL FM 96 in London, Ontario. In this broadcast, Marc speaks about Business Improvement Areas (BIAs). Years prior to the founding of Freedom Party of Ontario, Marc Emery was a weekly contributor a program called Access 96, broadcasted on CFPL FM 96 in London, Ontario. In this broadcast, Marc condemns the 6% conviction rate of the London police force, and concludes that people are going to have to hire private police if they want to be protected from criminals. Years prior to the founding of Freedom Party of Ontario, Marc Emery was a weekly contributor a program called Access 96, broadcasted on CFPL FM 96 in London, Ontario. In this broadcast, Marc talks about a four-week Ontario Municipal Board hearing into the expansion of White Oaks Mall and Westmount Mall. Marc speaks out against bad and unscrupulous business persons using by-laws to interfere with their competitors. Years prior to the founding of Freedom Party of Ontario, Marc Emery was a weekly contributor a program called Access 96, broadcasted on CFPL FM 96 in London, Ontario. In this broadcast, Marc talks about Business Improvement Areas (BIAs) and announces the launch of his new newsletter for London business persons, the Downtown London Metrobulletin. 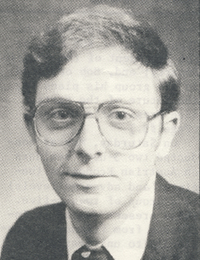 Years prior to the founding of Freedom Party of Ontario, Robert Metz was a weekly contributor a program called Access 96, broadcasted on CFPL FM 96 in London, Ontario. In this broadcast, Robert speaks against a $6M federal ad campaign to promote national unity. Metz speaks of individual rights of life, liberty, and property versus collective “rights”. Metz states that the purpose of a constitution is to protect citizens from abuse of power by the government, and he expresses concern for the future should the proposed constitutional amendments be made..